Begun as a mission, 1861, by the Very Rev. W. R. Richardson, Dean of St. Mark's, San Antonio. R. P. Wilkinson donated site. Church was built 1882, consecrated in 1885 by the Rt. Rev. R. W. Elliott, first bishop of Western Texas. Elevated to parish status in 1913, under the Rev. Frank Juhan, later Bishop of Florida. Location. 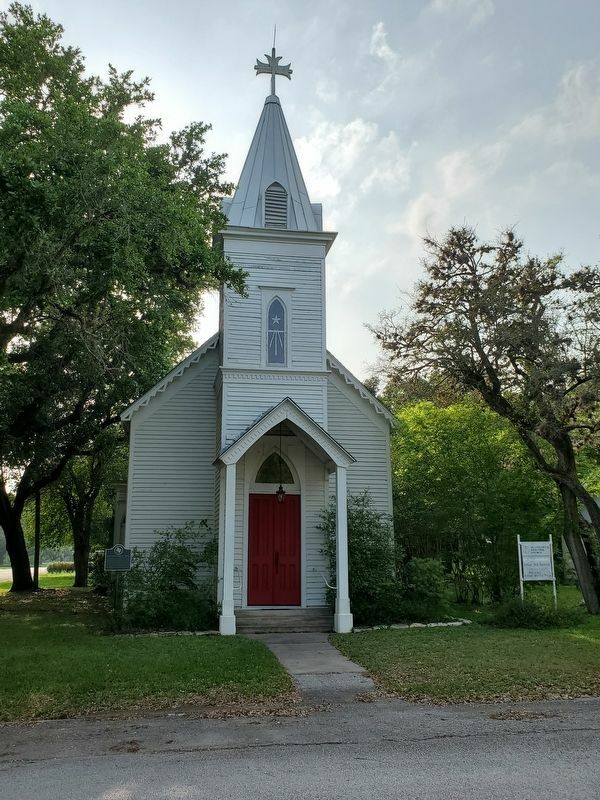 28° 40.032′ N, 97° 23.644′ W. Marker is in Goliad, Texas, in Goliad County. Marker is at the intersection of West Franklin Street and South Chilton Street, on the right when traveling west on West Franklin Street. Touch for map. Marker is in this post office area: Goliad TX 77963, United States of America. Touch for directions. 800 feet away); Goliad Tornado of 1902 (approx. 0.2 miles away); Goliad (approx. 0.2 miles away); Market House Museum (approx. 0.2 miles away); Regulators of Goliad County (approx. 0.2 miles away). Touch for a list and map of all markers in Goliad. More. 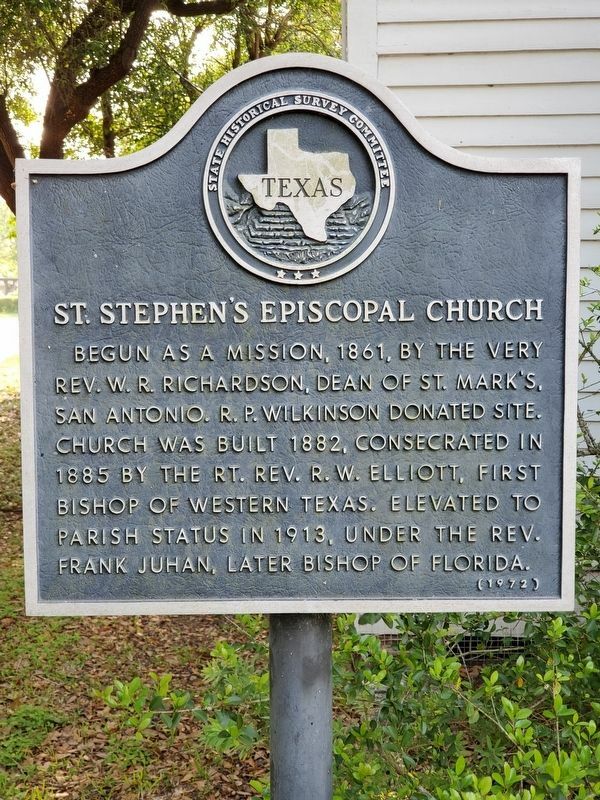 Search the internet for St. Stephen's Episcopal Church.